What exactly are hypoallergenic dogs, and what makes them different? Some people love dogs, but allergies have them sneezing, wheezing, and itching every time they pet a pooch. This keeps them from every owning a loving pup, which is heartbreaking. But there are dog breeds that are considered “hypoallergenic” that can minimize allergy symptoms in humans. A dog that doesn’t cause allergic reactions sounds too good to be true. And it is–sort of. No dog is one hundred percent allergen free (truly a hypoallergenic dog), and there is some controversy as to whether or not a hypoallergenic dog is even a real thing. Nevertheless, there are several breeds that are called hypoallergenic, and many allergy sufferers swear that their symptoms are lessened around these dogs. Note that you should always spend time with a dog breed before taking one into your home to see if you can handle it and consult a doctor. Here are some hypoallergenic breeds that might be just right for you. 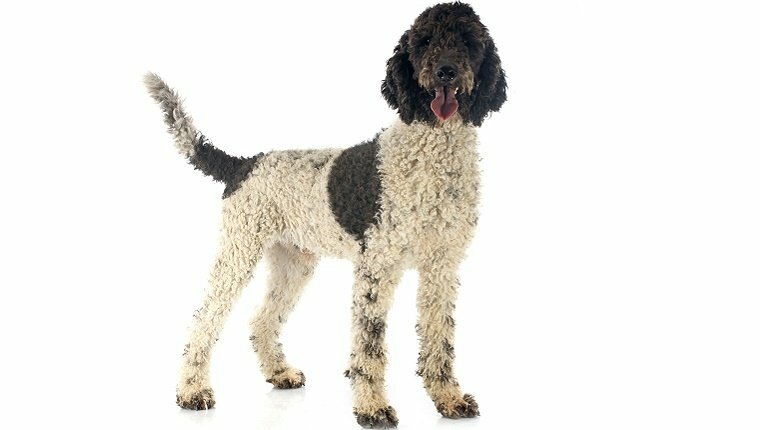 The Portuguese Water Dog has a coat that can either be curly or wavy, but the main reason they are hypoallergenic is that they have a single-layer coat. This means they lack an undercoat and don’t shed as much as other breeds. Less hair floating around means reduced allergic reactions to hair. They do, however, need frequent grooming to keep all those curls and waves untangled. Regular grooming can also remove excess hair and allergens. 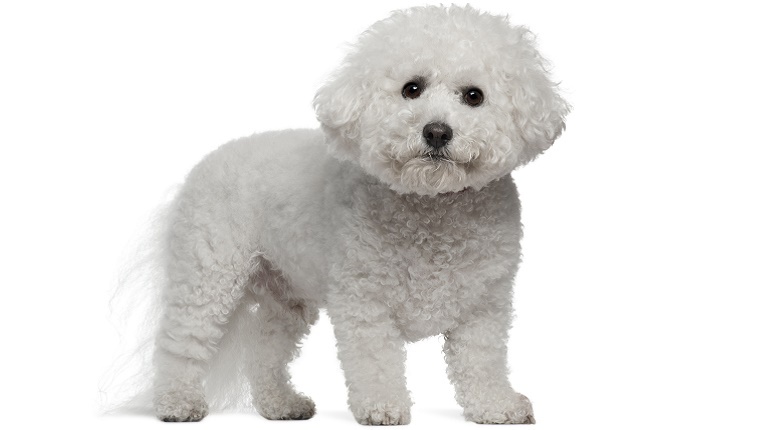 Smart, friendly, and highly-trainable, the Bichon Frise makes for a great, compact therapy dog. And having a hypoallergenic coat helps keep nursing home and hospital patients happy. Unlike the Portuguese Water Dog, the Bichon Frise is double-coated. This means that much of the hair that they shed gets caught up in the undercoat. Grooming can be a bit of a mess, as all that caught hair can form mats and tangles. Bathing will make this problem worse if the excess hair isn’t brushed out first, and since Bichon Frises only come in white, you’ll want to give them regular baths to keep that fur spotless. This will also help reduce the amount of dander floating around making you sneeze. 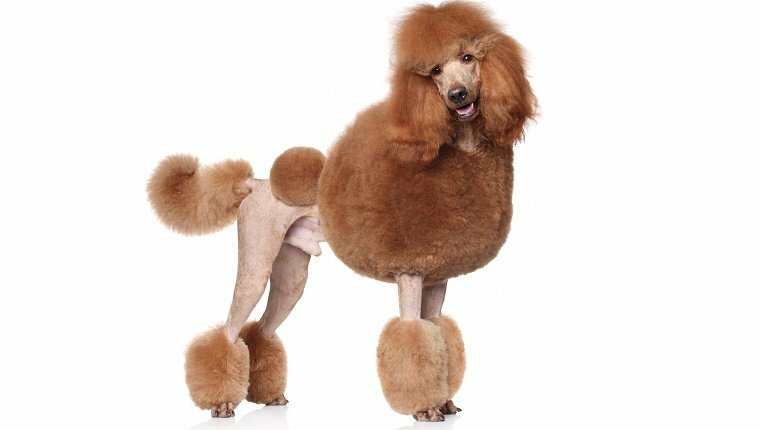 You can often recognize a Poodle by the way their coats are groomed, with big fluffy puffs of fur in some places and completely bare skin in others. While it looks fancy in dog shows nowadays, that method of grooming once served a purpose. Poodles were waterfowl hunting dogs, and they were groomed to have short hair in places to avoid getting snagged by underwater debris and thick hair around the joints and vital organs to keep the pooch warm. The Poodle is another almost-non-shedding breed. However, like the Bichon Frise, excess hair must be brushed out of the fur to avoid matting. Loose hair collects under the coat and can be a big mess and an allergy nightmare if it isn’t removed. The Xoloitzcuintli is sometimes called the Mexican Hairless. And it’s their lack of fur that caused them to be considered doctor dogs, as the warmth from their skin comforted people with arthritis and other ailments. Their bodies are mostly hairless with the exception of some fur on the feet and tail and a big mohawk on the top of the head. A hairless body means less fur to shed, lower likelihood of ticks and fleas, and a bit less grooming. 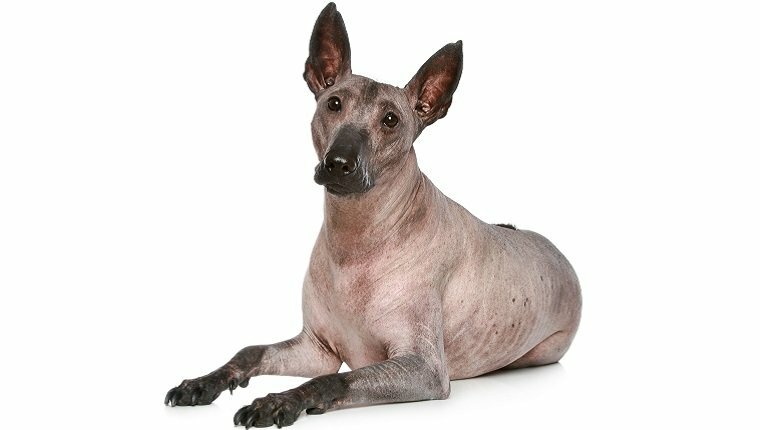 In fact, the Xoloitzcuintli grooms itself much like a cat. This breed sweats through its skin and paw pads, and it’s important to keep those clean. But the less time you spend brushing and picking strands of fur out of your clothing, the less time you’ll spend sneezing and getting watery eyes. The “Yorkie” as this breed is affectionately called, is a very popular dog among apartment dwellers due to their small size and affectionate personalities. When you have allergies and live in close quarters with dogs, it’s important that they aren’t causing you to break out in hives. 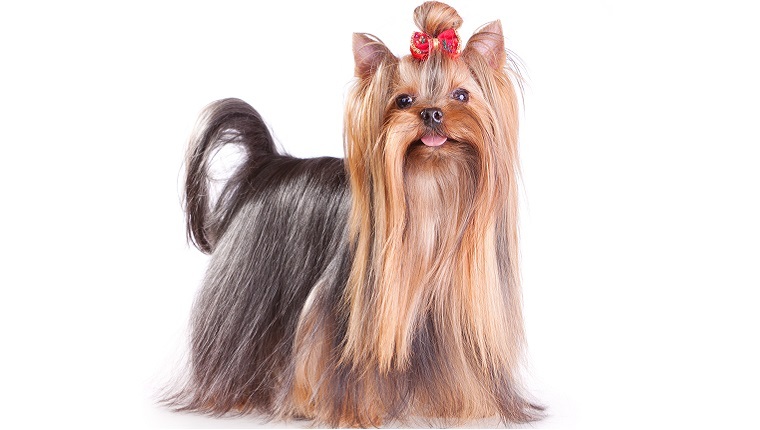 Yorkshire Terriers‘ beautiful single-layer coats can be short, or they can be long enough to drag on the floor, but they don’t shed much. Still, it is best to keep fur from collecting other allergens by dragging along the ground a lot. They need to be brushed to prevent matting, but bathing them is very easy. You don’t need to rub a Yorkshire Terriers coat to clean it. Just run your fingers through it with some shampoo. After that, the pup will be nice and clean again, which means there won’t be as much to sneeze about. 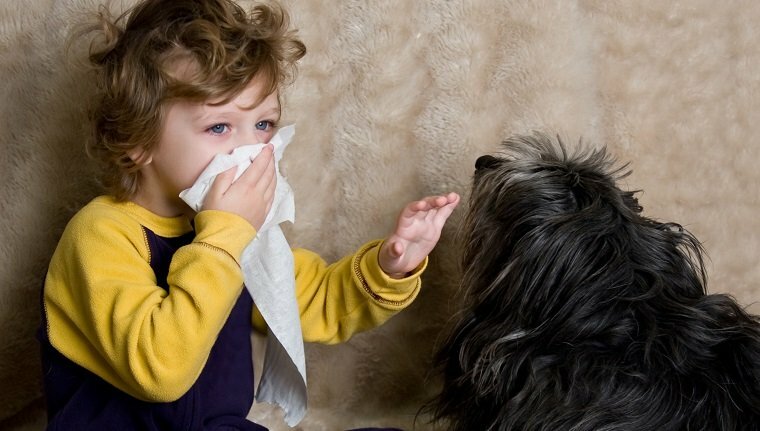 Do you have allergies and live with a dog? Does your dog’s breed help reduce symptoms? Let us know in the comments below!